LONDON (Reuters) – Liverpool opened up a seven-point gap at the top of the Premier League with a 1-0 win at Brighton & Hove Albion on Saturday, while Arsenal’s poor away form continued with a 1-0 defeat at West Ham United. 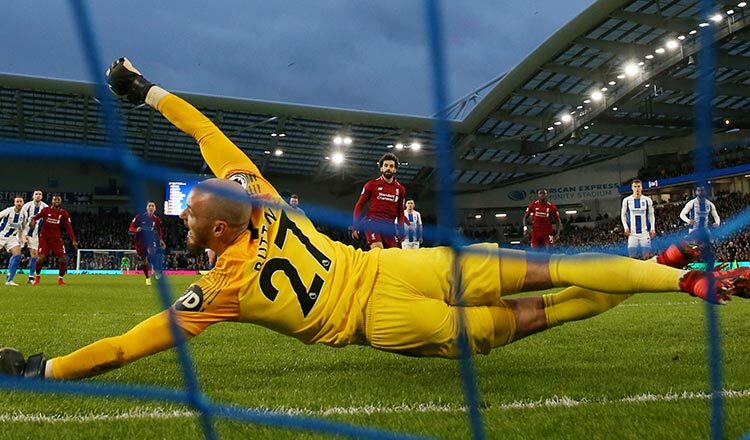 With nearest challengers Manchester City not playing until today, Liverpool went into their clash at Brighton on the back of two successive defeats in all competitions and were made to work hard for the three points. Arsenal’s defeat means they have now won just one of their last seven matches on the road in the Premier League. Burnley’s fourth win in a row lifted them to 15th in the table after they came from behind to earn a 2-1 victory over fellow strugglers Fulham, while bottom side Huddersfield Town were held to a 0-0 draw at Cardiff City.